It's that time of year when the canned pumpkin hits the shelves. Do yourself a favor and follow the sales. When you can get it for around $1 a can, stock up! I have found Aldi carries it for around $1 regular price, but it is only available seasonally. Cake - Just grab a box of cake mix and add a can of pumpkin. Mix and bake as usual. Some people like to add a little water to lighten the consistency. You can experiment with this but it is not needed. You can do this with chocolate and no trace of pumpkin is detectable. My husband who will NOT eat pumpkin flavored food will eat a devil's food cake mix made with a can of pumpkin. Spice Cake is also a great option, and more of the pumpkin flavor will come through. Pumpkin Bread - You need to try this pumpkin bread. It's so good! Replace oil in some recipes - In my favorite pumpkin bread recipe, I have subbed extra pumpkin for the oil 1:1. It changes the consistency, but it's great. I've had other people try it and it passes the test! I haven't tried this in other recipes, but I bet in most quick breads it would work. I might have to try pumpkin banana bread, replacing the oil with pumpkin. I wonder if the pumpkin flavor would be masked by the banana? My husband would be a good judge on this. Dog Treats - I haven't tried this one yet but I definitely plan to. You can make dog treats using pumpkin and a few kitchen staples. Here is a link one one recipe. And here's another. Pumpkin Pie - This is the "duh" one on the list. But really. This is the best pumpkin pie I have ever had. My mom found the recipe many years ago when she was making a pie for Thanksgiving. She didn't have the sweetened condensed milk that many recipes call for. So she went on the hunt to find something using regular milk. Now this is before the internet, so I'm not sure how long the hunt took, but she found a treasure. Here's a link to the recipe. Pumpkin Butter - I came across this recipe during my 30 Days 30 Recipes Challenge. It was from a Weight Watchers list, but I'm telling you it does not taste diet-y in the least! Give it a try and I'm sure if you like pumpkin, you'll like this butter. Everything on this list that canned pumpkin is used for, you can also sub your own cooked pumpkin. 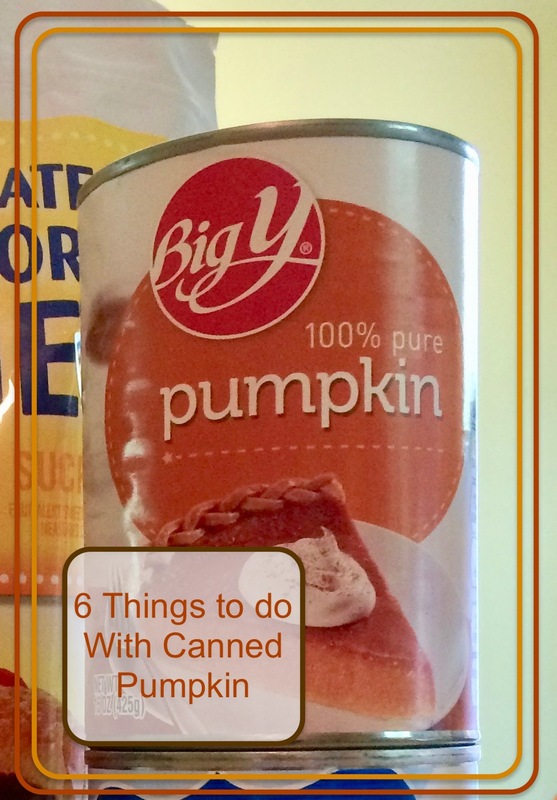 Canned pumpkin is just so easy and if you get it on sale, relatively cheap. If you haven't checked it out yet, check out The Ultimate Blog Challenge on Facebook. You know, I've seen canned apple, canned cherry- but I've never seen canned pumpkin. I must use the wrong grocery stores! That's funny. It's seasonal so maybe you just missed it. Great suggestions! I love pumpkin and might try out the chocolate cake one this evening. And I will def print out the pie recipe and try it this year. I hope you try the cake one. It's so easy and tastes great. I really enjoyed this - I'm reposting on my personal page for my FB friends. Thanks. Thank you! I appreciate that! I love pumpkin time. 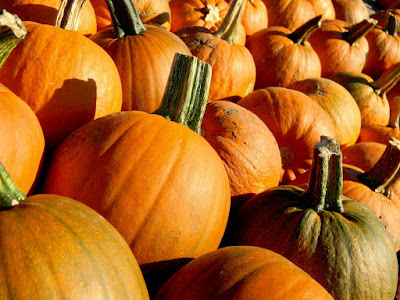 I found several ideals for Pumpkin on here I can use and a lot of times it is on sale here so next time I see it for a $1 you can bet I will stock up and also let my mother in law and sister know as they both love Pumpkin Bread and Butter. Thanks for the comment! And the great thing about pumpkin is it's a nutrition power house. It's got vitamins A, C, E and many more. Yum... all these ideas for pumpkin make me think of my mother's pumpkin pies, especially since it's Thanksgiving here this weekend. I really like the idea of using it in a spice cake mix. I'll definitely have to try that one. I'm glad you liked the post! I love pumpkin pie! Are you from the US? You're the second person to mention this. I see canned pumpkin all season. Let me know if you try the dog treats. You could hide it because it's low cal and high nutrition. I see where you're coming from, though. I haven't baked for a long time because of our diets. Baked goods are just too tempting. I do have some canned pumpkin around that I should use, so I may try one of these recipes. I used to love pumpkin bread. It's cool enough to start using the oven again. I wonder if pumpkin could also replace sweet potatoes in some recipes. I bet it could replace sweet potatoes, but it's not quite as dense. I do not like pumpkin - and, guess what, someone suggested the canned pumpkin with cake mix (your suggestion #1) a couple of years ago - it is wonderful! And perfect for Weight Watcher followers like me because unsweetened canned pumpkin (being careful not to use "canned pumpkin pie mix")is zero points. I've only done it with chocolate cake mixes. I've even ventured into pumpkin pie in the past year. Jill, yumm! I love pumpkin whatever. I love all those dishes you've mentioned, and another favorite of mine is pumpkin soup. I make it savory, with a lot of sauteed onion and thyme, and often with sausage balls or slices in it. Thanks for a fun and mouth-watering post! My sister in law made a wonderful pumpkin soup. I haven't had one in a very long time. I'm the only one in the house who will eat it, but it may be time to get out the soup pot!